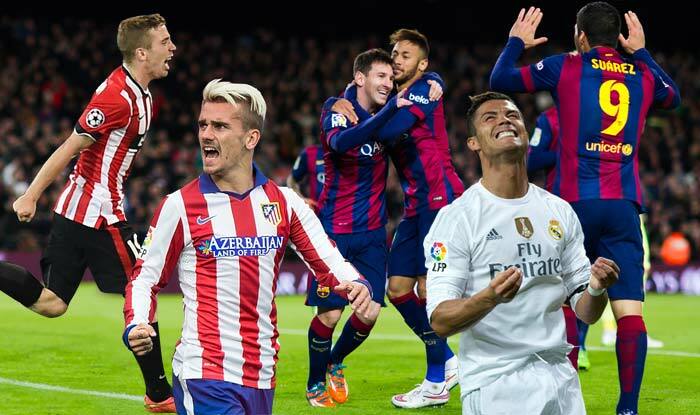 iDiski - Soccer Blog and Football News La Liga news Why is the English Premier league so overrated and mediocre compared to the Spanish league? Why is the English Premier league so overrated and mediocre compared to the Spanish league? When it comes to the quality of the best teams, then perhaps the Liga is better than the Premier League, but that gap is something that can only be seen in the Champions League. I don’t need to say it, but the La Liga is only a two-horse and often a one-horse race, between Barcelona and Real Madrid. Honestly, Atletico toppling that duopoly comes second in surprise levels only to Leicester winning the Premier League. The PL isn’t mediocre, and nor is it overrated. Six teams in every season are Champions League-knockout quality (yeah, even Arsenal). Though the number of title winners isn’t too great (Man City, Chelsea have dominated this decade), it is still better than La Liga, where 8 of the last 10 leagues have been won by Barca. Spanish diehards may point to Sevilla defeating Man Utd, but let’s be real, there is a gulf in their quality. United just sucked over two legs. The playing styles are a matter of taste. Sure, the typical dynamism of Spanish teams are a joy to watch, but when Barcelona versus Valencia and Malaga versus Girona are played in basically the same format, it becomes an unintelligible mess. With the range of managers that are attracted to England’s best teams, in the same weekend you can watch Klopp and Geggenpressing, Pep and his advanced tiki-taka, Wenger’s total football, Poch’s front-line fluidity, and a range more. La Liga might have the two best teams and the two best players in the world, but in no way does it make the PL look ‘mediocre’. It’s called the Premier League for a reason. I find that the English Premier League so Dull and Boring.....Teams that are only good in their league but when it comes to Champions League they are easily beaten by Small teams like Lyon, Sevilla etc....While Spanish Teams are ruling the world.